You may receive updates from National Domestic Workers Alliance, the sponsor of this letter campaign. Domestic workers have been excluded from basic labor laws — rights that all workers should have — for decades. With the Illinois Domestic Workers Bill of Rights, we have an opportunity to right this historic wrong — but the bill is moving quickly and we have to act fast. HB 1288 is gaining support from Senate members around Illinois. 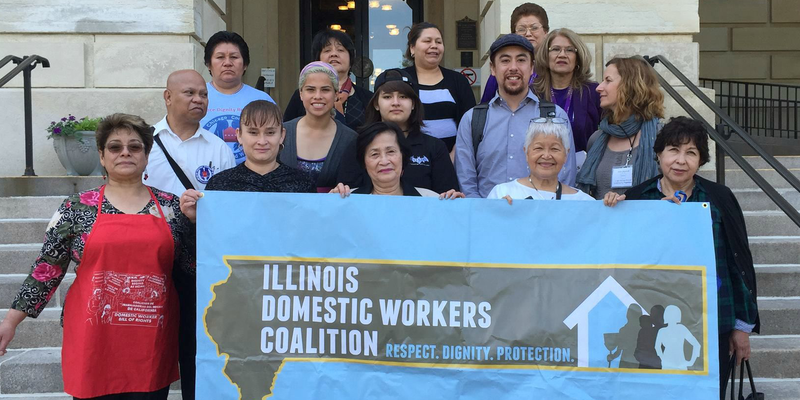 Use this form to send your senator an email urging them to stand with domestic workers and support HB 1288, the Illinois Domestic Workers Bill of Rights. From Oregon to Connecticut, states across the country are leading the way by finally extending fundamental labor protections to domestic workers. Together we can make Illinois next.